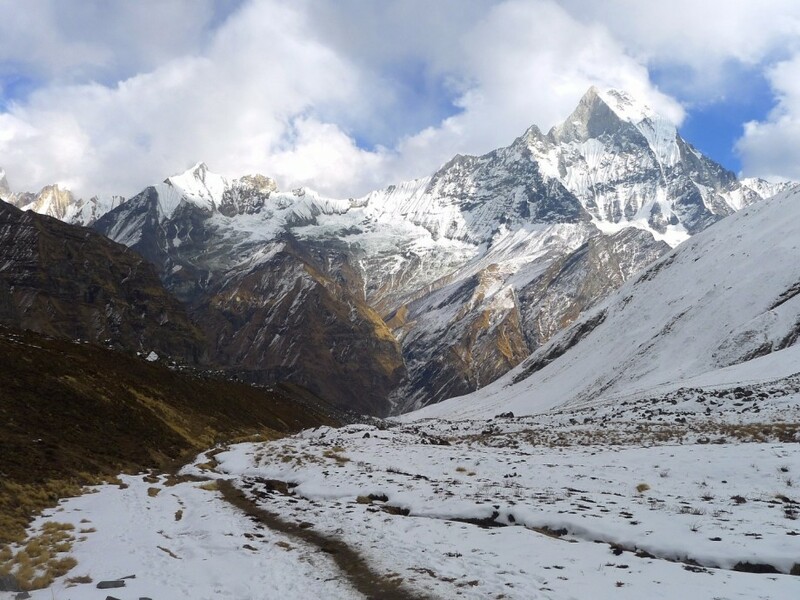 This Trek is a spectacular journey on foot to the South Face of Annapurna I- a pleasant hike through ethnically diverse villages and beautiful mountainous landscape. Explore the way upstream along the Modhi River into the Annapurna Sanctuary, a valley surrounded by towering Himalayan peaks including the breathtaking Fishtail Peak. Enjoy breathtaking views of towering Himalayan peaks including Machhapuchhre.